The top professionals were not the only ones to tackle the ropes of Winthrop University over the weekend. Four of the best men’s collegiate teams in the country — Mississippi State, Liberty, Clemson, and North Carolina State — participated in the 5th Annual Dean’s Cup Invitational. When the dust settled, it was the defending national champion, the Mississippi State Bulldogs, who brought home the Dean’s Cup victory to show that they are once again the team to beat in college disc golf. 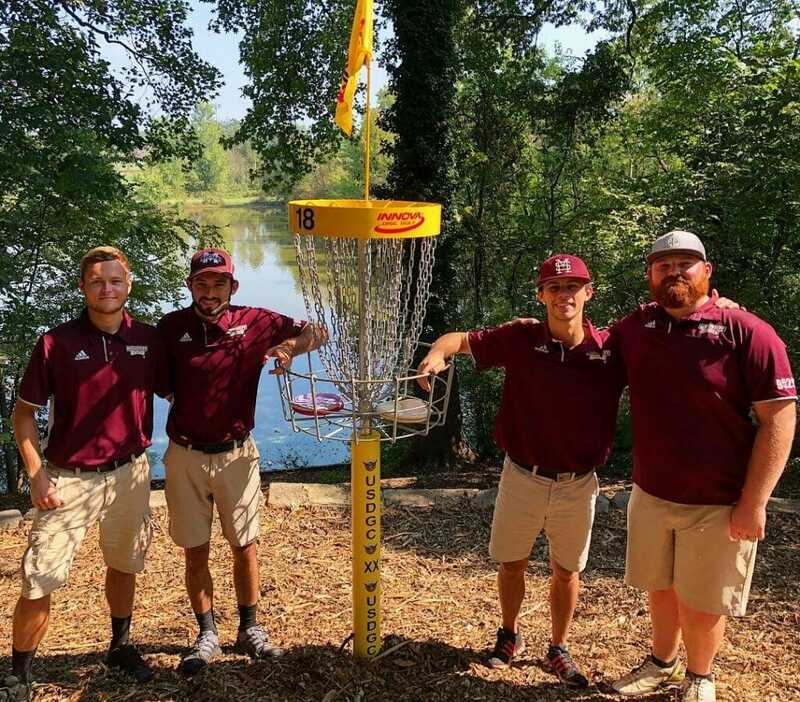 The two day tournament, which followed the National Collegiate Disc Golf Championship’s team doubles format, began with Friday’s opening matches pitting Liberty against North Carolina State, and Mississippi State against Clemson. In the morning match, little could separate the Flames from the Wolfpack. After 18 regulations holes, the two teams were tied, both shooting 5-under par 62s. 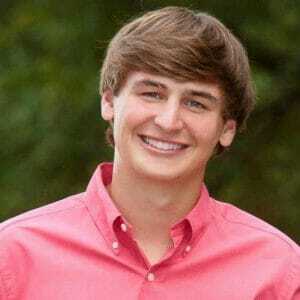 In the second playoff hole, Liberty’s Jeremy Miekley canned a 25-foot putt to send his team to Saturday’s final. In the second match of the day, the defending national champions put together an impressive performance. The Bulldogs led the entire match and finished the day with an 8-under par 59 to beat the challengers from Clemson who finished at 1-over par 68. The Clemson team included 2017 NCDGC Individual Women’s Flight Champion Alex Lambert. The victories by the Bulldogs and Flames set up the winner-take-all contest for Saturday. The Mississippi State team consisting of Steven Hillerman, Jacob Henson, Aaron Tucker, and Mason Nunley, showed why they are the reigning champs with dominant play that found them up by three strokes after nine holes. However, those who have seen Winthrop Gold know that no lead is safe until you get through the dangerous hole 17. The Bulldogs had a four stroke cushion when Tucker went OB with his drive, and the door looked like it could open for Liberty if his partner, Henson, could not put it on the green. Henson ended all doubts with a perfectly-executed forehand to get inside the hay bales and secure the Dean’s Cup victory for the Bulldogs. The collegiate season heats up next week as the Warhawk Collegiate Qualifier in Whitewater, Wisconsin will set off a series of qualifying events throughout the fall for college teams around the country. Ultiworld Disc Golf will keep you up to date with which teams find their slice of glory and qualify for the 2019 National Collegiate Disc Golf Championship. Comments on "Mississippi State Wins First Dean’s Cup"